Retro style combines with contemporary design to create the Milbrook Rug by Serge Lesage. 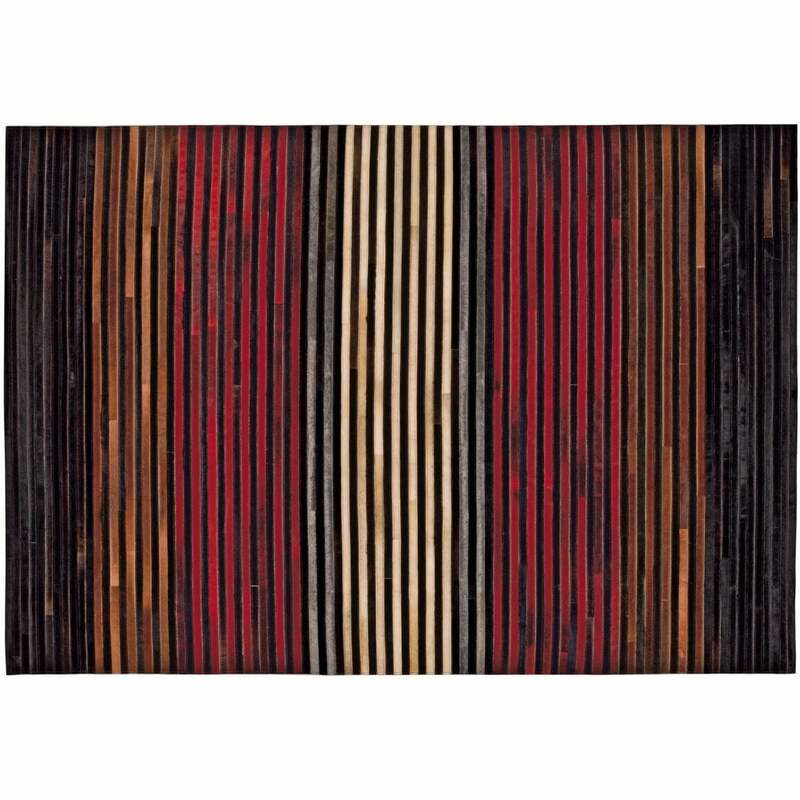 With a pinstripe motif and linear aesthetic, the pattern reveals alternating strips in warm and masculine tones. Rows of burgundy and amber contrast with the complementary hues of grey, cream and black. A row of bold lines appear at the centre, breaking up the regularity of the motif, to create a mirror effect. Crafted from the finest leather, each piece is hand-sewn to create an exquisite finish. Style with mid-century modern pieces for an eclectic look that exudes vintage sophistication. Bespoke sizes available upon request. Make an enquiry for more information.